Our team loves the world of custom computers. 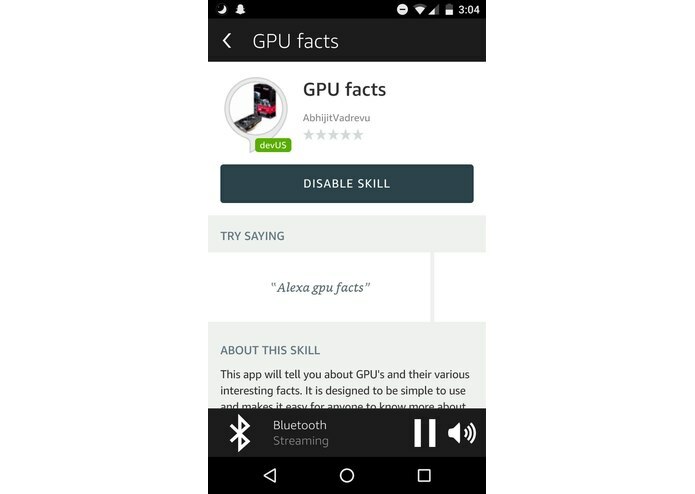 We were inspired to build this Alexa Skill so that others could learn about GPU's and share our love for computers! The app will tell you a random fact about Graphics Cards when asked! We used Amazon Web Services Lambda, which is used for cloud hosting of code. We used that to build the actual code. Lambda interfaced with the Amazon Alexa Skill developer tools to create the final version. We created code for common phrases that people may say to trigger the skill, and for the facts themselves. We ran into some challenges finding proper thumbnails to represent the Skill, because Amazon's Alexa Skill developer tools are quite picky about the type of picture used. We are proud that our Skill actually works on an echo, and can be used on any echo. I learned how to use Amazon Web Services Lambda, and Amazon's Alexa Skill developer tools to create skills. What's next for GPU Facts! We hope to eventually add more facts, and diversify into other computer hardware.